Earlier this month, the American vlogger Logan Paul received a lot of criticism for posting a video showing a dead body on the Japanese Suicide Forest. Following all the controversy, a new game about Logan’s Suicide video surfaced on the Xbox marketplace yesterday. Fortunately, Microsoft was quick enough to respond to all the complaints and has removed the game from its marketplace. 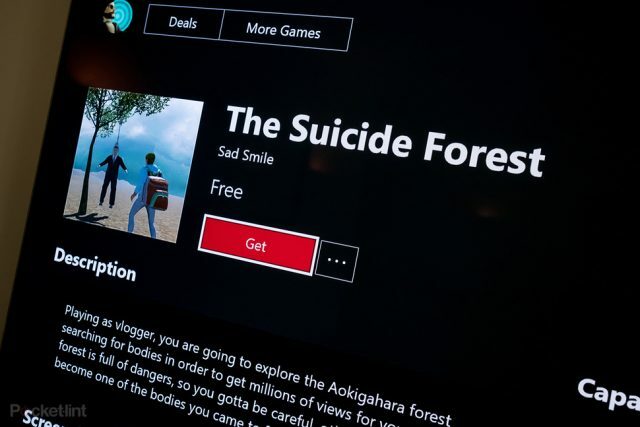 The game was called “The Suicide Forest,” and it was a side-scrolling game where you play as Logan Paul who explores through the Aokigahara Forest. The objective of the game was to find dead bodies of the people in order to boost views on your YouTube channels. The game itself was quite horrendous for a number of reasons. Firstly, it was a free-to play-game which means that anyone can download the game on their Xbox console. On top of that, the game was rated as ‘PEGI 3’ which is the equivalent of an Early Childhood ESRB rating in the United States. A few players who downloaded and played it reported that the game was poorly coded and implemented. The playable character was clearly mimicked to look like Logan Paul from the controversial video, including the alien hat. The game was first spotted by some users on Xbox’s Creators’ Collection, which is a marketplace where anyone can publish their games for Xbox and Windows 10. Considering the fact that all the games go through a small certification process, it is quite surprising to see how it bypassed the rules. That being said, this isn’t the first game on Logan Paul’s controversial video. Apparently, an endless runner game based on the same theme made its way into the Google Play Store.